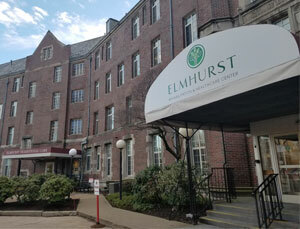 Elmhurst Rehabilitation and Healthcare Center, a new member of the distinguished Marquis Health Services family, is proud to introduce a whole new level of post acute care to Providence and the greater Rhode Island area, with the primary goal of returning patients home as soon as possible. As the only Eden Alternative® facility in the state, Elmhurst adheres to a patient-centered care model that emphasizes choice, quality of life and personal dignity. Our 206-bed nursing home is a vibrant community of four distinct care settings where compassion, warmth and respect are abundant, and caregiving comes from the heart.